We give four positive formulae for the (equioriented type A) quiver polynomials of Buch and Fulton [BF99 ]. All four formulae are combinatorial, in the sense that they are expressed in terms of combinatorial objects of certain types: Zelevinsky permutations, lacing diagrams, Young tableaux, and pipe dreams (also known as rc-graphs). Three of our formulae are multiplicity-free and geometric, meaning that their summands have coefficient 1 and correspond bijectively to components of a torus-invariant scheme. The remaining (presently non-geometric) formula is a variant of the conjecture of Buch and Fulton in terms of factor sequences of Young tableaux [BF99 ]; our proof of it proceeds by way of a new characterization of the tableaux counted by quiver constants. All four formulae come naturally in “doubled” versions, two for double quiver polynomials, and the other two for their stable limits, the double quiver functions, where setting half the variables equal to the other half specializes to the ordinary case. Our method begins by identifying quiver polynomials as multidegrees [BB82 , Jos84 , BB85 , Ros89 ] via equivariant Chow groups [EG98 ]. Then we make use of Zelevinsky’s map from quiver loci to open subvarieties of Schubert varieties in partial flag manifolds [Zel85 ]. Interpreted in equivariant cohomology, this lets us write double quiver polynomials as ratios of double Schubert polynomials [LS82 ] associated to Zelevinsky permutations; this is our first formula. In the process, we provide a simple argument that Zelevinsky maps are scheme-theoretic isomorphisms (originally proved in [LM98 ]). Writing double Schubert polynomials in terms of pipe dreams [FK96 ] then provides another geometric formula for double quiver polynomials, via [KM05 ]. The combinatorics of pipe dreams for Zelevinsky permutations implies an expression for limits of double quiver polynomials in terms of products of Stanley symmetric functions [Sta84 ]. 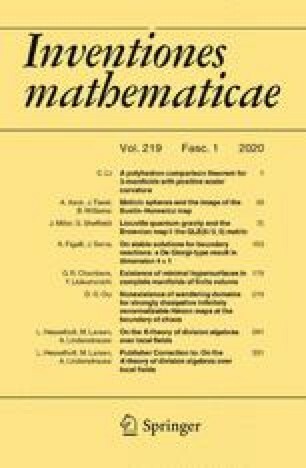 A degeneration of quiver loci (orbit closures of GL on quiver representations) to unions of products of matrix Schubert varieties [Ful92 , KM05 ] identifies the summands in our Stanley function formula combinatorially, as lacing diagrams that we construct based on the strands of Abeasis and Del Fra in the representation theory of quivers [AD80 ]. Finally, we apply the combinatorial theory of key polynomials to pass from our lacing diagram formula to a double Schur function formula in terms of peelable tableaux [RS95a , RS98 ], and from there to our formula of Buch–Fulton type.